As a gardener, I find autumn and the dismal days of winter a trial that has to be endured before spring arrives again. I know some people embrace the slow decline of life in the garden but I can’t find the enthusiasm to be one of them. The crisp autumn days and frosty winter mornings are too few compared to the grey, murky, drizzly days that are the norm. I used to feel that autumn had arrived as soon as August turned into September, probably because it signalled the end of the school summer holidays and the start of the autumn term. But now as a gardener, I refuse to think about autumn at all in September and if possible I maintain my state of denial until the autumn storms bring the leaves crashing down in November. The TV may be full of adverts for warming, hearty food as though, like bears, we have to fatten ourselves for the coming winter but I want to hold on to the feeling of summer for as long as possible and this year, at least, September has been a cracking month; warm, sunny and balmy. An Indian summer in the truest sense. 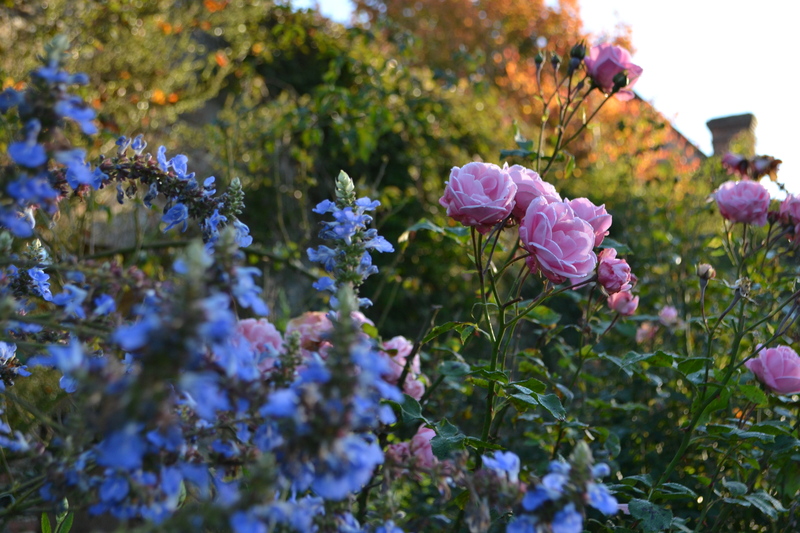 And the garden has responded; the salvias have flowered their socks off, the dahlias have been churning out endless colour and many of the roses have continued to flower. 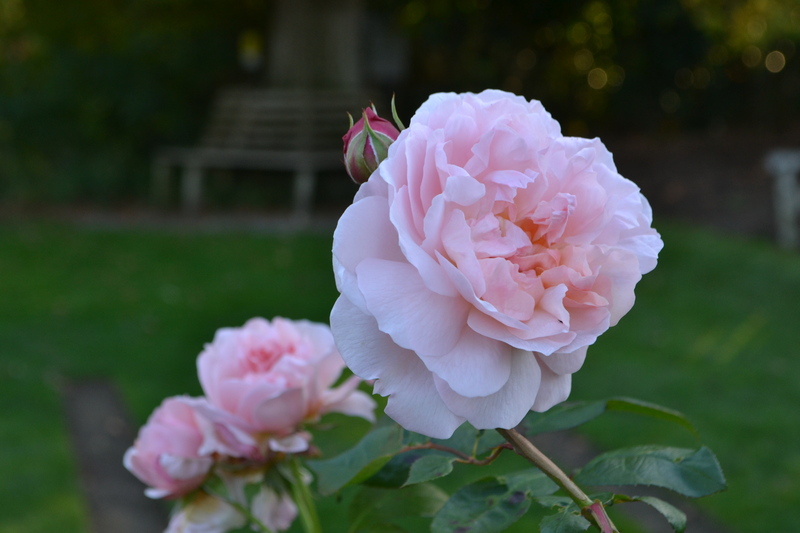 Knowing that this state of affairs can’t last and that the garden will soon start to decline, I rushed out with my camera last week to capture the last few roses and summer blooms. 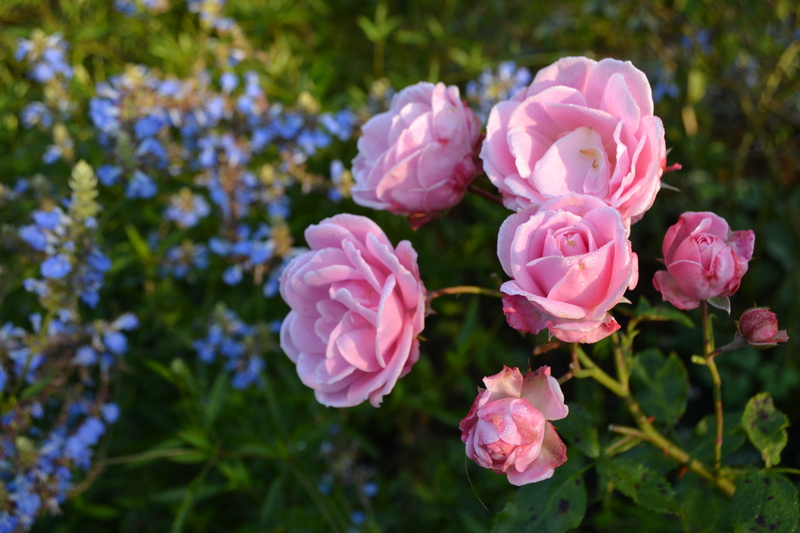 Despite the fact that most of our rose collection consists of old roses which flower only once in June, I was surprised to see a few stalwart specimens still in flower. 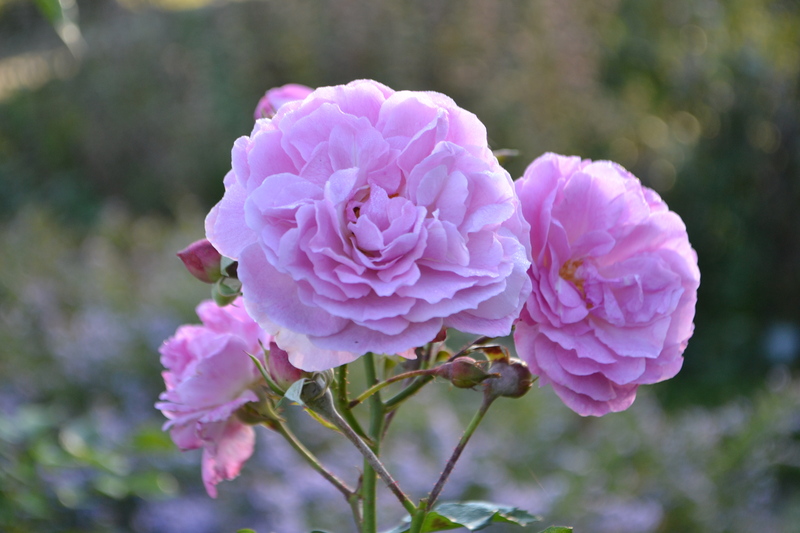 The Hybrid Teas such as ‘Mrs Oakley Fisher’ and ‘Ellen Willmot’ which were flowering all through September have clearly given up but some of the floribundas such as ‘Auguste Seebauer’ and ‘Dusky Maiden’ still have many flower sprays with buds that will open if the temperature allows. The red rose ‘De Ruiter’s Herald’ bred in 1947 is flowering so profusely anyone would think it’s still June. One of the few David Austin roses in the Rose Garden, ‘Eglantyne’ still has some beautiful flowers on it and ‘Graham Thomas’ another David Austin rose in the Cottage Garden has two enormous golden flowers. The hybrid musk roses have flowered well this summer with ‘Buff Beauty’, ‘Felicia’, ‘Penelope’ and ‘Vanity’ keeping the show going all through September. ‘Felicia’ in particular seemed to flower with great enthusiasm living up to Graham Stuart Thomas’s opinion: ‘This seems to me one of the most perfect of shub roses for beauty and continuous display’. Now in October only ‘Vanity’ is still producing flowers and even those are fading fast. 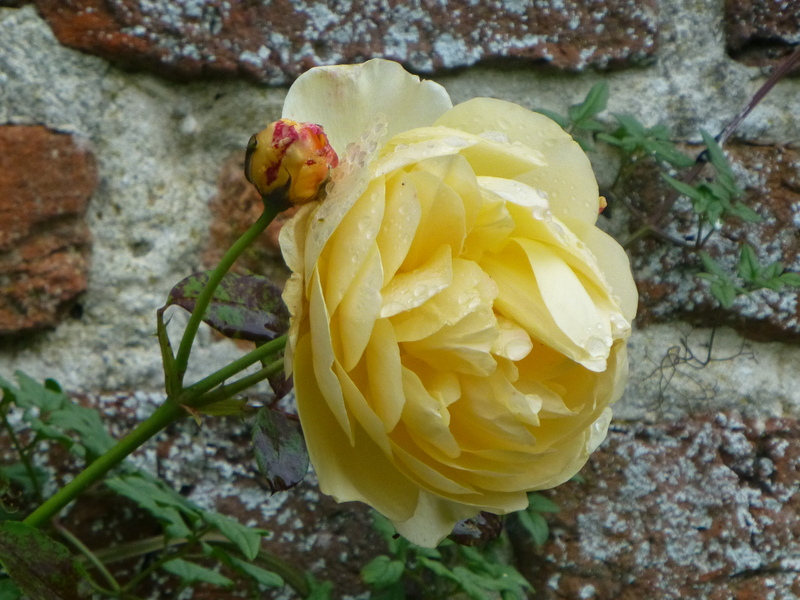 Some of the climbers in the sheltered Top Courtyard still have a good display of flowers with Rosa ‘Mermaid’ producing its lovely large rather floppy pale primrose flowers on a west facing wall. Finally, there is the modern shrub ‘Lavender Lassie’ bred by Kordes in 1960 and probably planted by Pam and Sibylle. (Head Gardeners from 1959-1990.) Only one or two sprays were present but the lilac-pink flowers glowed softly in the murky light of recent days. Knowing that these last few precious blooms will soon fade makes them all the more special and I’m grateful that they’ve allowed me to deny the fact that winter is just around the corner for just a little bit longer.